Within just the first half of 2018, the company facilitated over $33.8 billion dollars in transactions, for more than 350 million people through its platform. It was named as one of the most innovative companies globally and has risen to become China’s No.1 marketplace for various services. To date Dianping offers services in more than 2,800 different cities. Let’s get to know more about this super-platform which can handle nearly all of your life’s transactions, and how you can use it to promote your business! Originally Meituan and Dianping were two separate companies competing in essentially the same space. Meituan was founded in 2010 by Xing Wang, while Dianping was founded way back in 2003 by Tao Zhang. Both companies placed a strong emphasis on the F&B industry and group buying. However, Meituan focused primarily on food deliver, while Dianping focused on restaurant reviews. Meituan was more popular in second and third tier cities while Dianping was most well known in first tier cities. Both apps incorporated location based features to suggest nearby restaurants and services. In 2015, these bitter rivals finally combined forces through a merger and became another Chinese super-app including features from apps like Groupon, Deliveroo, Tripadvisor, and Yelp! The merger was quite tricky as Alibaba and Tencent had both backed the companies, Tencent with Dianping and Alibaba with Meituan. During the merger, Alibaba sold all its shares in Meituan and chose to back a new entrant into the space, Ele.me. The apps offered by Meituan Dianping cover a huge range of services. Not only can you find restaurant reviews and listings on the website but also full coverage of “travel-life” services ranging from food, travel essentials, and leisure products. 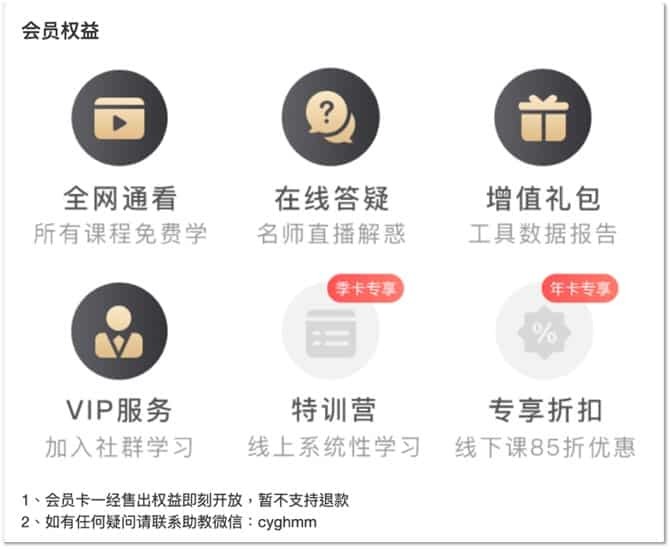 The company offers 4 separate apps that allow users to access different functions, including Meituan Waimai (food delivery), Maoyan (cinema tickets, Dazhong Dianping (Reviews/Coupons), Meituan (Coupons/Group Buying). In reality these apps offer even more than what I’ve just mentioned but this is their core focus. Launched in 2013 as the company’s core business, Meituan Dianping has now created a range of products to provide customers with services throughout the entire food purchasing process. 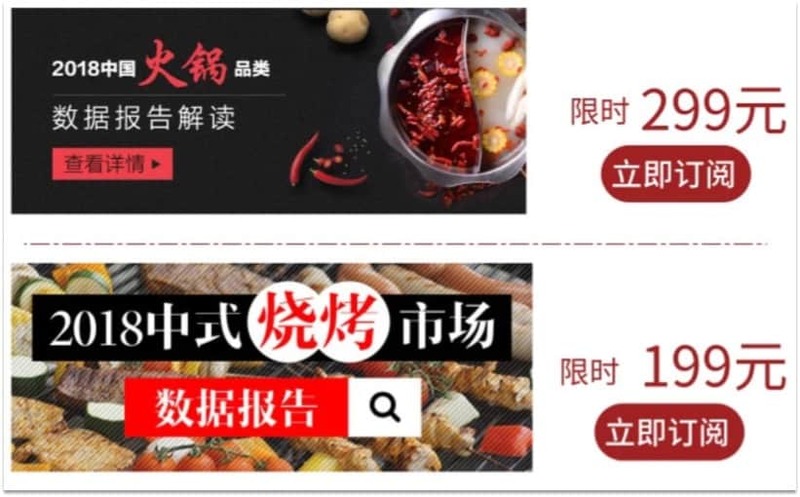 With the company combining restaurant reviews, coupon group-buying and home delivery service all under one roof, Meituan Dianping has consistently dominated this space since 2015. 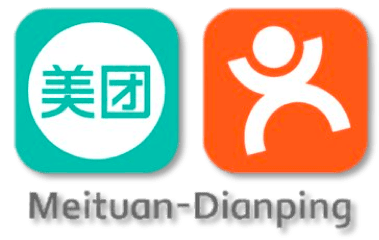 Due to strong backing from Tencent, Meituan Dianping also integrates heavily with WeChat. Users can pay for services directly through their Wechat Pay account. Since it’s merger with Dazhong Meituan has absolutely dominated this market. Through the merger Meituan was able to acquire an absolutely massive user base spread throughout cities nationwide. 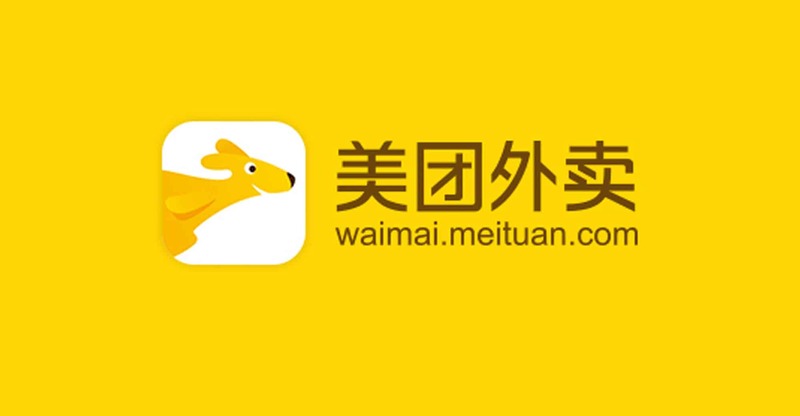 Meituan leveraged this user base to launch Meituan Waimai. This app has consistently dominated the food delivery market. The app has been doing so well that it was able to capture nearly 60% market share in the first half of 2018. What makes it so special is its integrations. Users can access Meituan Waimai directly on a range of apps, including: WeChat, Dazhong Dianping, Meituan, and even on Tencent’s QQ! With the app being so available to users it’s no wonder it’s been able to do so well! Meituan Dianping is looking to dive even deeper into this market with new services including deliveries of fruits & vegetables, groceries, clothing, flowers, and more! 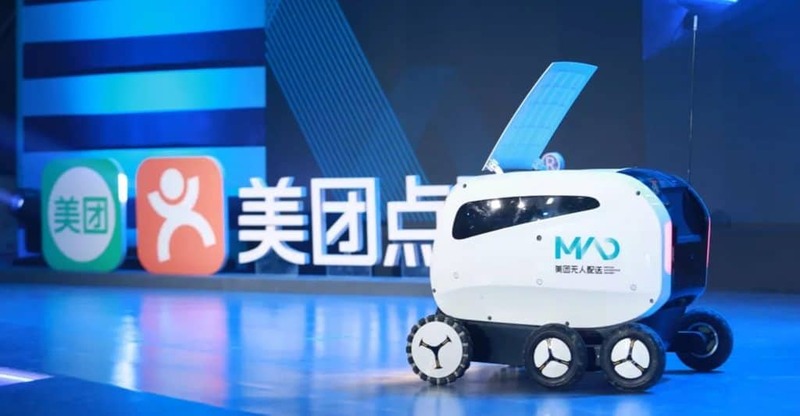 The company also announced they’d be launching a driverless vehicle to make deliveries in 2019 called, Xiaodai. This will be an AI driven robot that will be able to pick up and deliver food using the optimal route to ensure the fastest delivery time. This parts sounds a bit “science fictiony” to us, but we’ll have to wait and see! Meituan Dianping kickstarted its journey in the travel and holiday space in the year of 2015. Along with the huge range of services offered by Meituan Dianping, customers can now settle their hotel bookings, transportation and entertainment through them as well. 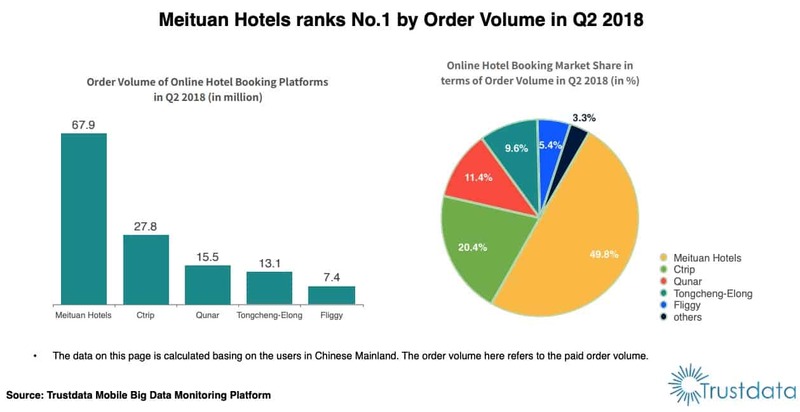 In terms of hotel bookings, the platform ranked second in the Chinese market in 2018. According to TrustData, the company was able to capture 46.2% of market share in hotel bookings! A tremendous achievement for something only launched a few years prior. It was able to set an industry record with over 2 million domestic hotel rooms booked on December 31st 2018. As Meituan’s fastest growing business line, it’s expected that Meituan Dianping will continue to invest and develop its capabilities in this area. Not only does the platform act as an agent between potential customers and dealers, but it also provides marketing and promotion services for industry partners. In other words, it fulffils both B2C and B2B customers’ demands. Meituan Dianping rose to popularity initially due to its group buy offerings similar to what Groupon has done in the rest of the world. It offers group buys for a range of different categories. While customers can get access to retail products and services at this one-stop-shop, retailers can also take advantage of Meituan Dianping’s enormous customer database to promote their goods and services. With Meituan Dianping positioned in the middle taking a piece of each sale it’s easy to imagine why they were able to raise over 4 billion dollars during their IPO in September 2018. 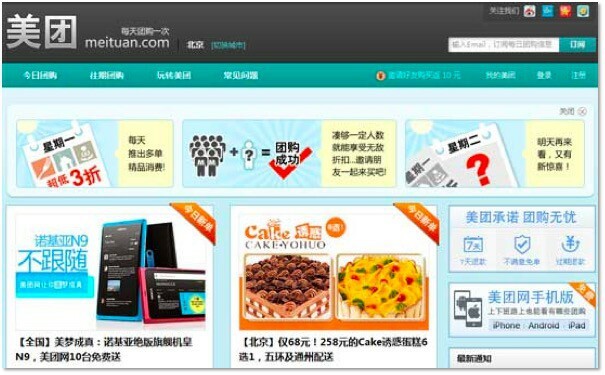 Meituan launched Maoyan way back in 2012. Over the years it’s developed into one of the most powerful forces in the Chinese movie industry. It now leads the industry with reviews and movie-ticket-selling services. Like all of Meituan’s other services Maoayan also integrates with the full range of Meituan’s other products, making it convenient and easy to use for users. Together with its competitor Taopiaopiao these two companies process nearly 90% of online movie ticket bookings! With over 80% of movie tickets purchased online in China, it puts Maoyan in an incredibly strong position. 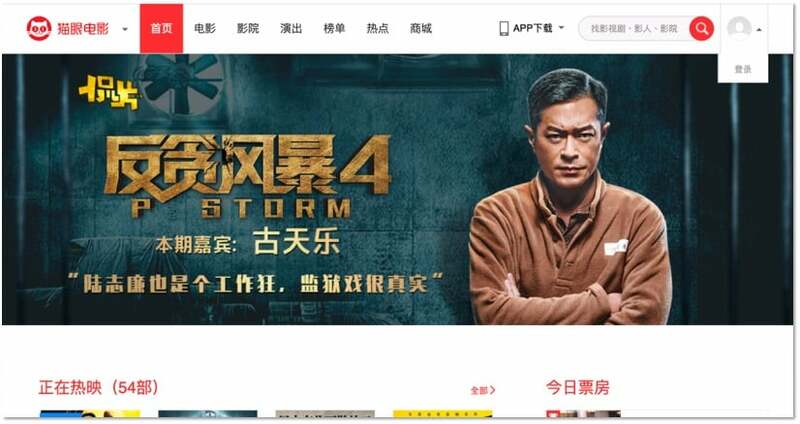 Maoyan is the number one online movie ticket seller in China. With 80 percent of tickets purchased online its quite the impressive feat! Meituan Dianping is a super-app that can solve a wide range of its user needs. It offers full coverage of travel and lifestyle services, allowing users to complete their online purchases within just one app. The convenience is what keeping the customers clinging onto the platform. It’s also what enables it to succeed in so many areas. It’s status as a super-app makes it extremely easy for the company to expand into new sectors, as through their cross-selling tactics they are capable of bringing their existing user base into new business lines. As a matter of fact, its CFO claimed that more than 90 percent of its first-time hotel-bookers had used either Meituan’s food delivery or in-store dining services. 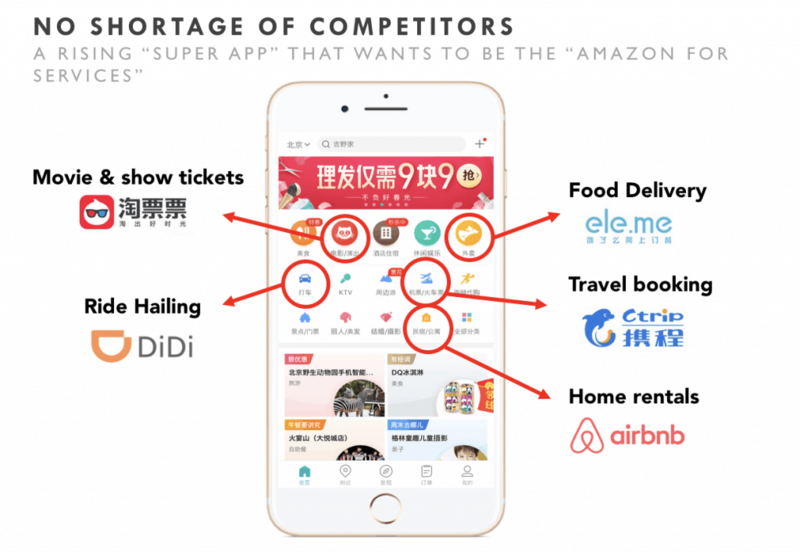 Meituan Dianping gives customers access to a spectrum of location-based services, ranging from food delivery, shop recommendations, bookings for entertainment spots, ride-hailing and travel ticketing. 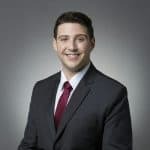 It helps to establish a one-of-a-kind, geo-specialized customers profiles to help merchants to pinpoint and match the demands of their target markets. With such a database, the platform portrays a complete user profile including online habits, consumer behaviors and preferences, all over the country. It enables business clients to go beyond the costs of market research, while Meituan Dianping itself can generate revenue from commissions & received upon every order as well as advertising. We’ll discuss this in greater detail later on in this post with Meituan’s advertising service, Meituan Union. As mentioned, Meituan Dianping built up its lifestyle empire based on locations. Another unique feature of the platform is that it features daily offers and deals personalized according to every user’s preferences and whereabouts. This ensures customers’ return rates and brings tailor-made experiences to users, making sure they would continue revisiting and checking the platform for more deals. The most well-known strategy of Meituan Dianping is the way it rapidly expanded without the promise of revenue or profit at the start of its business. The super-app typically targets everyday people thus it has to lure in cost-conscious customers with capital put into the business before it is able to generate profits. t had to burn cash so that rivals would be kept away. 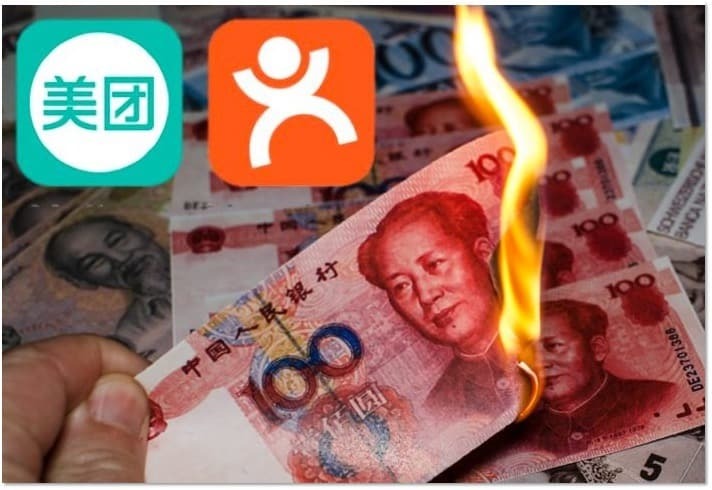 This strategy is often employed in the tech world, but very few have matched the amount of cash that Meituan Dianping has burned in its quest for growth, with the company showing losses of over RMB 3 billion in 2017 prior to its IPO. Meituan Dianping is famous for never making a profit yet and burning cash to acquire market share. With its confidence and “death or victory” spirit, the firm’s aggressiveness has been shown in its various cash wars throughout the years. “Xue” in Chinese means to learn. By paying for a membership with a monthly, seasonal or annual fee, you’ll gain access to unlimited online video courses 0n business tips in the food industry. It’s filled with industry experts online answering your questions. Basically it is like an Udemy for food start-ups and small businesses in China! Topics include marketing, management styles, real-life case studies and more. Follow-up consultation services are also a major part of the “academy”. Members can even purchase data reports with industry-specified statistics. Meituan Xue has accumulated a large group of businesses owners with similar interests. It is like a specific social networking site for the food industry. With appropriate use of the site, you can gain access to valubale market insights and get to know your potential rivals. While businesses can learn from each other with more frequent contact it also provides businesses with the possibility to collaborate and potentially work together with one another through its social features. The word “Shouyin” is simply the Chinese pinyin for the word “cashier”. Meituan Shouyin sells PoS (point of sale) systems with Meituan’s software pre-installed. Customers can choose from a wide range of extra hardware at reasonable prices! The PoS systems have a range of different functions, including: receiving real-time orders, group orders, coupons sale, and more! All the software you need within just one single system. As Meituan wants to expand deeper into this industry, and given its tendency for burning cash, it provides incredibly advanced systems for great prices. Meituan also wants these businesses to continue using the systems so it also provides outstanding support if there are any issues. This can be an incredibly cost-efficient way for new businesses to get their point of sale set up! Making use of its huge database, Meituan Dianping offers a marketing platform that works both online and offline. Users are able to access Meituan’s 260 million active customer profiles and the treasure trove of data that the Meituan app has collected. This way businesses are able to easily advertise themselves based on the demographics, location, consuming patterns and preferences of their target customers. By analyzing their target customers’ locations and tailor-making their marketing strategies, they can increases customer loyalty and brand awareness. Users can choose from a wide range of services including search engine optimization, image promotion, URL promotion and website ads. There’s a huge range of options available to marketers on the Meituan platform. If you want to get started advertising with Meituan, just shoot us an email and we’re happy to help! All things considered, Meituan Dianping achieves dramatic success by initiating a brand new category in the service industry with no comparison globally at all. However, the stakes of their growth is as high as their ambitions are. But beyond all the doubts, the enormous geo-based database of Meituan Dianping users would be an amazing start of your marketing journey. With the power of a team of experienced social media marketers, Dragon Social strives to provide the ultimate marketing solutions to help you entering the China market. If you would like to stay up-to-date to other Chinese market trends and tactics, don’t hesitate to contact us or if you want to continue learning Subscribe to Our Newsletter!